In exactly a week from now, the Samsung Galaxy S7 will go live in Barcelona, at MWC 2016. All the eyes will on their Unpacked event and if we learned something from the last launches, they’ll be concise and quick. Well, before that happens, Evan Blass unveiled one more render of the devices. 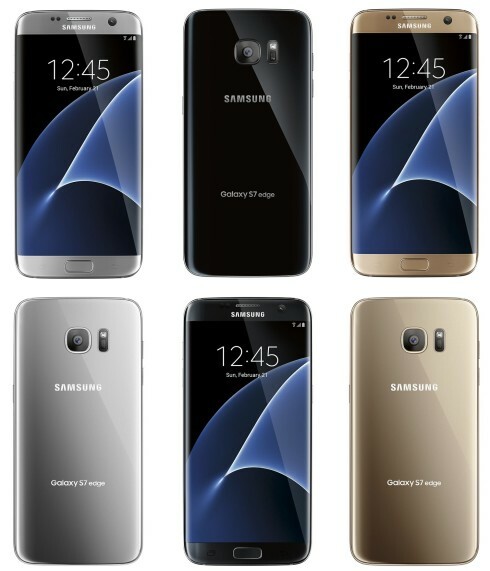 This time he gives us a full view of the handset color versions, in gold, silver and black. It’s very clear that the edges of the back are curved, the camera area is similar to the one of the Galaxy S6 and the Galaxy S7 Edge has a facade design basically similar to the predecessor. The chassis is still made of glass and metal and the Home button is unchanged. Samsung is going to have a bit of a problem selling these Galaxy S7 and S7 Edge models versus the S6 and S6 Edge, since they’re so similar. The only thing telling them apart are the edges and bigger S7 Edge diagonal compared to the S6 Edge.